Treasure hunts are fun and my preschooler loves them. Whenever we go to the library this is one of our favorite things to do together. 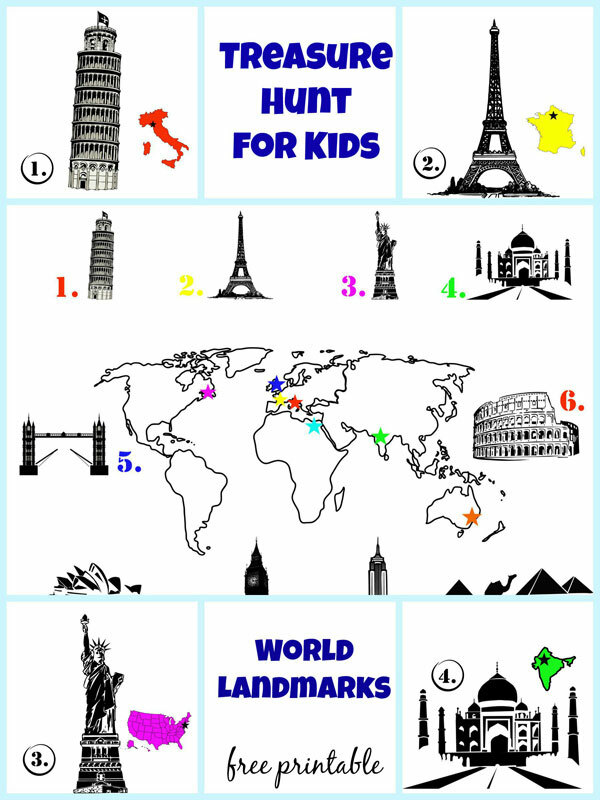 I created a treasure hunt for kids using famous landmarks of the world and included a couple my son is familiar with. It can be used at different levels, depending on the child’s age. While young kids can use it only to search for the monuments, you can turn the hunt into a geography lesson for older ones. 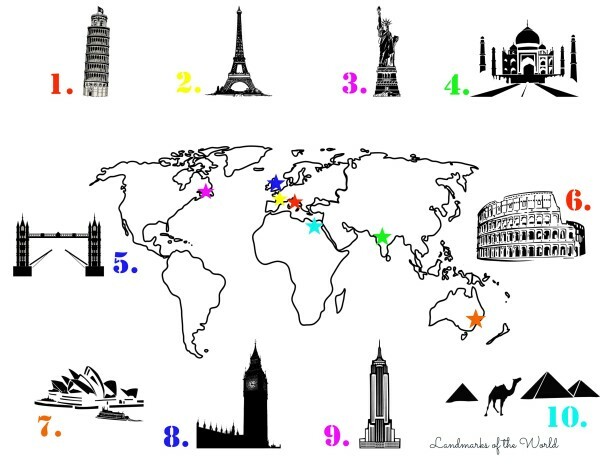 Start by talking about the monuments, the countries where they are located and the continents where those countries are. could you explain how you do this activity? I’d love to do it with my kids! Could you please try again, Tina. It works for me. What a wonderful and educational printable. Thanks so much for sharing with Monday’s #pinitparty. I have pinned. Great free printable – Thanks Stef for linking up to Pin Worthy Wednesday, I have pinned your post to the Pin Worthy Wednesday Pinterest Board.